We prefer the title Ray Harryhausen: 1920 – Forever. Be sure to check out the Facebook page for his foundation, as it has lots of goodies there. 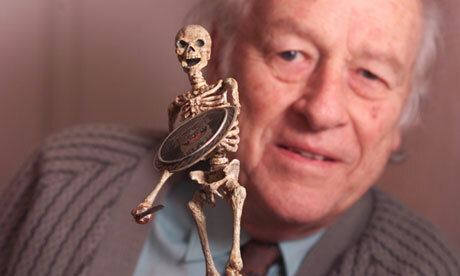 One of the pioneers in stop motion animation and movie special effects has died. OK, you knew exactly who I was talking about just from that description. There is but one such pioneer who has achieved fame to match (almost) his movies. Ray Harryhausen, who brought the original “Mighty Joe Young” to life, whose models and model photography jazzed up many a sword and scorcery tale — “Jason and the Argonauts,” “Clash of the Titans” – has died. He was 92.